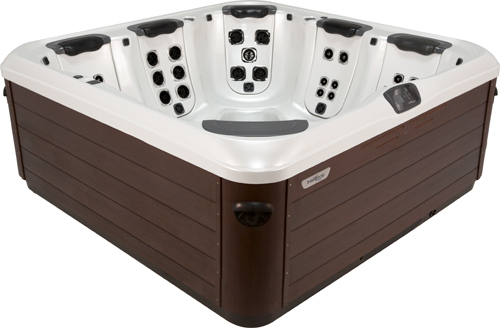 Classic Dual Lounge Layout, the Ultimate Relaxation Spa. The A8D is an exclusive classic layout with refined features, maximum lounge therapy options and a distinctive style. The lounger seat can also double as a cool down bench when there is a need to accommodate more than five people. 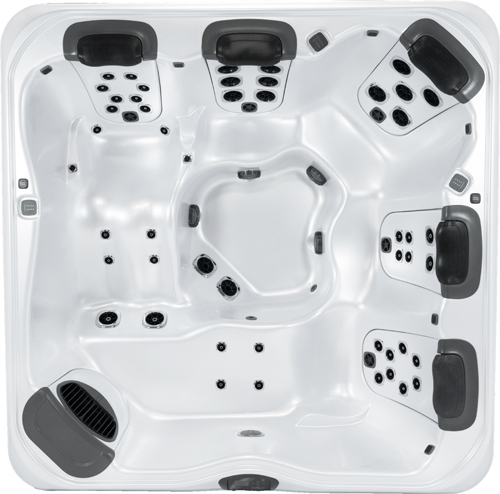 This is a stylish 6 person hot tub with 5 unique JetPaks.